Go to the top of the page and find the "What’s happening?” box. This is where you type your Tweets. Be prepared for people to respond. They may or may not depending on the question and who saw it. 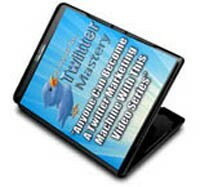 Start learning how to use @reply Tweets to initiate conversation with other Twitter users. Go to your Twitter Home page and look at your latest timeline. If you are following a lot of people, this will be very busy! Find a Tweet that catches your attention and you feel inclined to respond to the person. EXTRA - You can Retweet content on the web in many cases. For example, if you go to any popular blog today, most blog have a little Tweet button that allows you to send a message to Twitter promoting a link to the blog post and it often sends it as a Retweet message giving credit to the Twitter ID of the author! You can send private Tweets to other Twitter users and the benefit is that only you and the recipient will be able to view the Tweet. The only stipulation is that both parties must be following each other. This protects popular Twitter users from getting Direct Message spam.